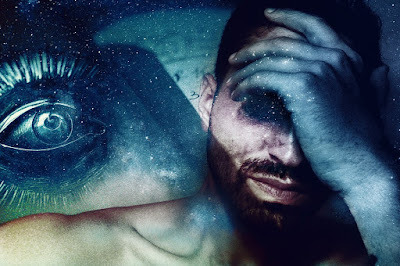 Tomorrow, February 4th, 2019 at 1:04 pm PST, the New Moon is happening at 15 degrees Aquarius. 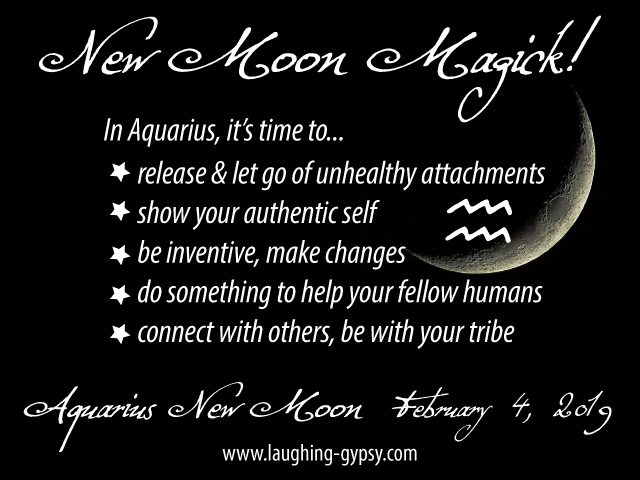 Today, tomorrow and the next day is your window for setting New Moon intentions! What this Aquarius Sun/Moon energy signifies in general is a time for shaking things up! If you’ve got anything holding you back from being your true self or if you have an unhealthy habit that you need to break, now is the time to release those things without emotional attachment, embrace the changes and move forward in the spirit of re-inventing yourself! This is also a wonderful time for doing something to help your fellow humans such as volunteering or donating to a cause. It is also an excellent time for hanging out with your tribe. Remember, Aquarius is actually an air sign, despite its name as the water bearer, which means it likes social engagement! This energy likes to think, talk, share ideas, and invent new ways to solve the world’s problems. What it could mean for you personally all depends on your birth chart, which is unique to you. If you would like some help on that, contact me for a reading. I’ll need your accurate birth time to cast your chart. I’m happy to help you understand your own personal chart and how to use this knowledge for you to live a more fulfilling and heartfelt life. After all, that is what makes life worth living!